As a corporate with several group companies under our fold, the media is our constant companion. Our advertising campaigns are spread extensively across every medium of communication to reach our customers far and wide. Click on the thumbnails to have a look at some of our promotions in the recent past. 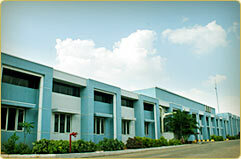 SCM Textile Spinners (P) Ltd.